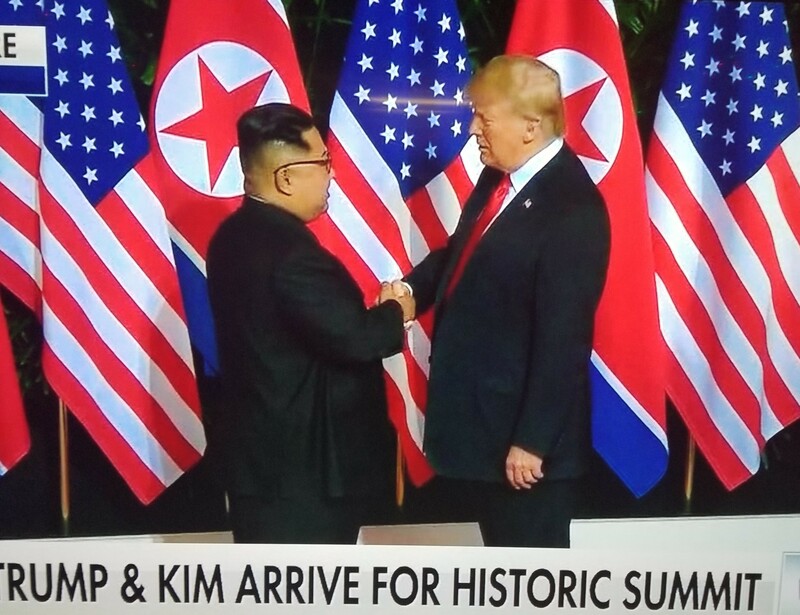 Over the years,US President,President Donald Trump and North Korean Leader Jim Jong Un have been like east and west which never and would ever meet. 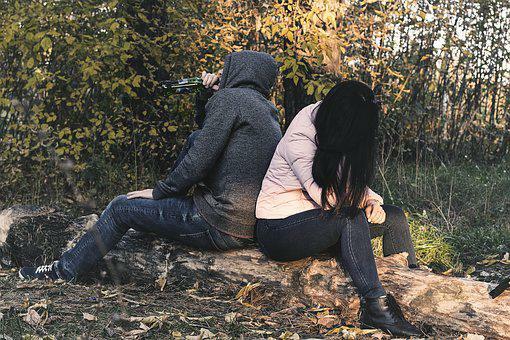 They have never been truly friends,but have been like cat and rat in the same world,acting without the interest of each other in their daily political activities. However,it seems the chain of hatred and antagony has been broken in ongoing Submit in Singapore. 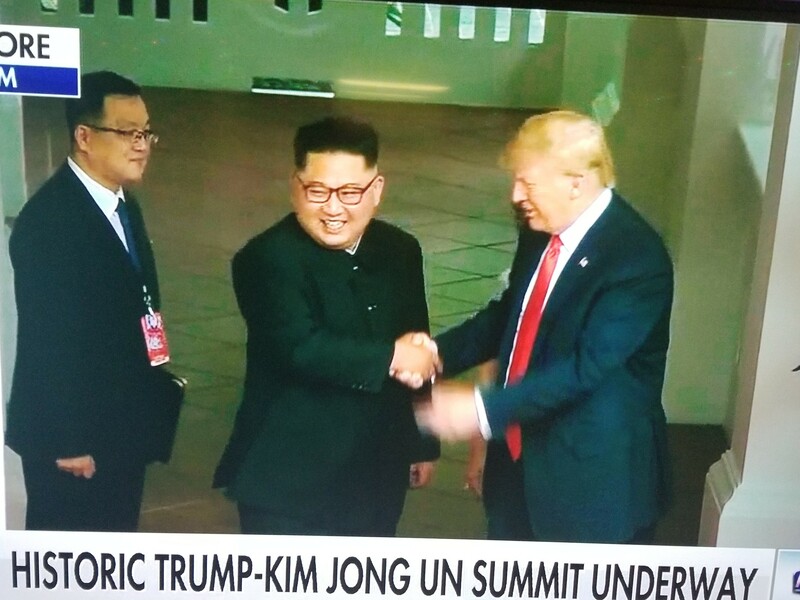 For the first time,US President and North Korean Leader,Donald Trump and Kim Jong Un have a warm handshake with interest of each other at heart. They both look like ever good friends! It didn't stop there,the two strong leaders had a private meeting which only their interpreters have to come in with them in Capella Resort,an isolated hotel in Sentosa Island in Singapore. 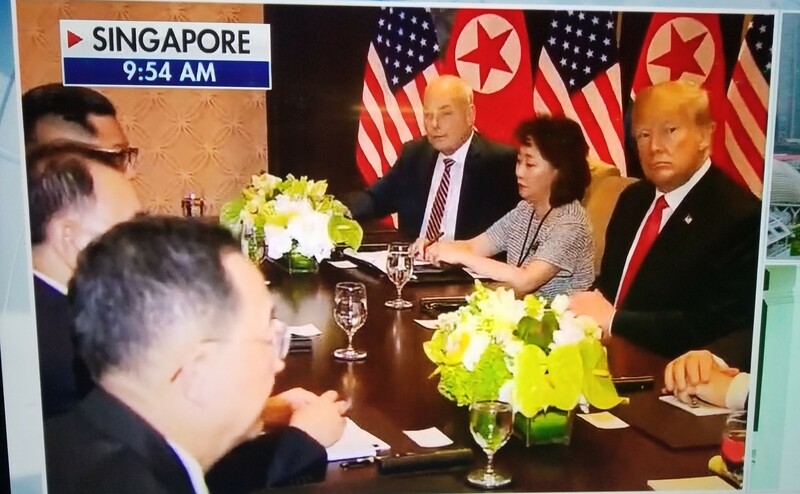 Update of the meeting also has it that both leaders meet privately without their advisers except with their translators Later,Donald Trump and Jim Jong Un came out with their shoulders high and smiles on their faces.After that,they went to their different rooms to meet with their various advisers.